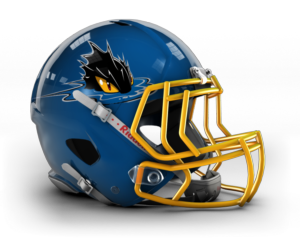 The Michigan Monsters are an "expansion" team for the HIFL in season 8. Coming over from the American Premier League, the team has history prior to its arrival in the HIFL. Hello... I am Nessa Waters, if you didn't already know. I am the owner of the Michigan Monsters, and I am here to inform to let it be known that we are not currently in need of a General Manager. If one was to be interested in the job, I would gladly conduct an interview, but as it stands, we are perfectly happy hiring a coach to act as the GM and Head Coach. Miss. Waters, GM Black Death here , I am interested in your job , I understand you are not actively looking for a GM, but I feel that your team can benefit from having one for this upcoming season than not having one. You coach needs to worry about just coaching the team , not about salary , not about media questions , ticket sales, etc. His job needs need to be about what happening on the field that it. I believe I can help continue the legacy of winning that you bring over from APL. I am open to any questions you have . We have had trouble with GM's in the APL where they would not stick around for an entire season, or get lost in the shuffle. We are looking to avoid that, but if you were to hang around the HIFL community for a season, we would definitely come back to the table next season. my stint in the HIFL was cut short due to illness and not of my choosing, but before I had to leave , I had built a damn good team. Thank you Mr. Death, we will speak after the season. Here is our team report coming out of training camp. It was a very disappointing first season for us here in Michigan, we have decided that a General Manager may be needed to make it in the HIFL. Once the playoffs conclude, we will begin interviewing for our open GM position. Until then, here are our end of season stats. We are in need of a GM who can help this team build in a tough division, if you are up for the challenge, please contact me here. Miss Waters, hello. My name is Mike Powers, but I am sure you already know that. I am here to apply for your open GM position. I realize that my reputation precedes me these days, but I would like to re-iterate what I told Howard McAfee during my recent interview. I am deeply regretful for my actions towards New Jersey last season, and I have learned a valuable lesson from the experience. If you allow me the opportunity, I would like to show that I have what it takes to be a success in this league, while simultaneously walking the straight and narrow. I believe that I can help this team grow. I believe that one day, we can all be Champions together. I will hire you under two condition. If I find you are doing anything suspicious with our PR money like you did in Tombstone, you will be fired on the spot so consider yourself on a probation of sorts, and the second is that we need a PR secretary, so if you know anyone who can fill the position I will hire them to work for you. Miss Waters, thank you for your kindness. I can definitely abide by the 'probation' that you have set forth; I realize I need to prove myself in everyone's eyes again. I certainly intend on redeeming myself, and am grateful for the opportunity you have provided me. As for the second condition....you have no idea how happy I am to hear that you have an open position! One of the things I was going to request from you (if hired obviously) was a job for my former secretary in Tombstone, Miss Dayton Callie. She unfortunately was fired as a result of my actions, when she was simply doing her job, without knowledge of what I was doing. If you'll have her, she would be a spectacular hire. Well then Mike, I am happy to welcome you to the Michigan Monsters... do us proud and please don't make me regret this decision, I am going out on a limb to bring you in, I am sure I will face harsh criticism from my fellow owners, the GMs, and most of all the media.. Thank you once again for taking the risk on me. I will not let you down. One last couple of things...am I able to speak to Coach Bryce at this time? I believe that his contract has expired, and I wish to retain his services. Also, are there any other tasks/issues that I need to be made aware of, before ERFA begins? Currently everyone is on vacations n so once we get back to work you can handle your business. For now we will lock up with everyone else. Can I please speak with Harry Bryce? Harry, thank you for taking the time to speak with me. I wanted to talk to you about extending your stay here in Michigan. Do you have interest in re-signing with the Monsters? I would love to be back here. Terrific news! How does 3 more years at $10MM sound? I can shake on that. I'll send in the proper documents. Glad to have you returning. While I have you here, can you tell me about the team? You coached these guys last year, so what did you see out of them? Their strengths, their weaknesses? Also, I wanted to talk to you about Doolittle. Obviously this organization invested a high draft pick on him last season, but he seemed to get thrown to the wolves out there, and had more than twice the amount of interceptions as touchdowns. Will he be 'the guy' moving forward, or is he looking more like a bust? Should we maybe bring in a veteran for a year or two, and have Doolittle play behind him and learn? Sorry to hit you with a bunch of questions all at once Coach. Just trying to get up to speed. It's a real work in progress, we have some talent but a lot of last year was saving money and getting some experience for some of our players. I think Doolittle could be a player in the league eventually but right now he needs some time behind a veteran signal caller. The offensive line has a good foundation though and we have some young talented corners and the combo of Wallace and Sanderson is a good start in the front seven. Alright, good info to have. Are there any of our players on expiring deals that you definitely want me to try and bring back during ERFA? What do you think of your OC and DC? Do you get on well with them? Truth be told, I am considering releasing Freese and promoting AC Maxfield to DC -- would you be in favor of that move? Freese has retired and left the team so we don't have a DC right now, I think Maxfield would be a great coach to promote..
Ah, I didn't realize that he retired. That makes the decision easy then. I'm going to talk to him now. I'm sure we'll touch base real soon Coach. Hi Coach, thanks for your time. I spoke with Head Coach Bryce, and we both agree. We want you to be the Defensive Coordinator here in Michigan. I'd like to offer you a 3 year, $5.5MM dollar contract. Are you interested? That would be great boss, happy to get the promotion, thank you. Proud to have you. I'll talk to you soon. Can I speak with Shaun Doe please? Hi Shaun, thanks for your time. We're in the market for a Director of Scouting. I'd love to hear a little bit about you and your experience. What do you look for in a player? Hey man, I played from 2010-2015, the first 5 years of that was with Orlando. I am a big time fan of speedy players. Great to know. I'm going to conduct a few more interviews. I'll give you a call if your my guy. Can I speak to Mumbasa please? Mumbasa, thanks for your time. We're in the market for a Director of Scouting. I'd love to hear a little bit about you and your experience. What do you look for in a player? Who've you scouted in the past? The first and only phone call you should make when it comes to scouting the top playmakers of today, tomorrow, and the next generation... From my time setting the entire world on fire playing football internationally I made a lot of connections.. You could say I'm the most well known football player never to step foot into the HIFL, but now here I am running my own scouting department for the teams that want the best, the fastest, and the most recognizable faces from the best schools in the country. I've scouted kids like Adrian McCaffrey, Douglas Fowler, Stephen Shelley, Jamie ORtega, Timothy Hightower, Marshawn Holiday.. the list is long but distinguished and it's just getting started. I'm definitely sold, you sound exactly like what I'm looking for. 2 years, $1.5MM get the job done? Welcome to the team, see you at the combine. Miss Callie, I just want to take a second to welcome you to Michigan. I also want to apologize for that unfortunate business in Tombstone. I'm sorry you got caught up in it. I'm just happy I was able to make it right. You can really make it right by putting a ring on this here finger darling, I mean.. Mister Powers.. Uh....one thing at a time Miss Callie. One thing at a time. Would you please connect me with Bobby Shapiro? Bobby, thanks for taking my call. A memo came across my desk saying that Oakland has just released Alberto Kidwell. That would seem to make him an unrestricted free agent. That being the case, we'd like to sign him here in Michigan. Would he be willing to play for us? You are right that he is a free agent, but the league frowns on any UFA work until after ERFA and the draft.. Understood Bobby. I am in no position to ruffle any feathers right now. I'll contact you after the ERFA and the draft, as you suggest. Can I speak with Anderson Ginobili please? Mr Ginobili, thanks for your time. I know that this is not the call you're expecting, but I had to reach out regardless. I'm looking for an Assistant Coach here in Michigan. You'd help out with the offense in general, but more specifically with the QB's. We have this young kid, Doolittle, that we've invested in. We think he has room to grow, and I have no doubts that he'd get there much faster under your wing. Any interest from your side? If I am not brought back to Long Beach, perhaps, but until I see otherwise I shall be planning to continue my job there, where I call home. I understand. I'll reach out again if you don't sign in Long Beach. Thanks for your time. Can I speak with Lionel Tomlin please? Coach Tomlin, it is a pleasure to meet you. I just wanted to have a quick face to face with you so that we could officially meet, and so that I can get a feel for what type of offense you like to run. Are you a run first kinda guy, do you like to air it out....? What's your pleasure? You can call me LT boss man, but yeah listen, I like balance but I can't help but show love to my fellow running backs, if you get a great running back you feature him because if he's great he's unstoppable..
LT it is then. And coming from Tombstone, I would whole heartedly agree with you about a stud running back. Can you get me up to speed a bit on the talent we already have? Coach Bryce and I already talked about Doolittle, and the need to sit him behind someone with experience. What about the rest of the skills positions? What're we working with there? Freedman is a guy you should remember from a few years ago, e was a dynamo back up in Missouri then GM Gooch made him mad and he left for the APL, thats where I started coaching him, he lead the league in rushing there a few times and now he's here with us now, nearly 1400 yards and 6 TDs averaging around 4 yards per carry, same as Robles, just less touches. He's not a huge receiving threat, but he caught 38 and dropped 12 last year. He is 25, and has great speed and ridiculous strength for his size, just a power runner who can out run you once he's got space. I really like him. Our receiving corps isn't killer but we have Benny Ramos whos brother Max plays for Tulsa. He's a solid option, I think with a better QB he'll do more than just flirting with 1000 yards. He's agile and has decent size for sure. Flynn is a roster space filler and not a lot more, while Rory Dover is a prospect from New Jersey's Li-Ning acadmeny in the UK from a couple years ago, he's raw but he can FLAT OUT FLY, fast kid but his hands are god awful, really just a KR / PR guy right now..
Super helpful stuff LT, I appreciate it. One question about the line; what would be your first priority for a position to upgrade? Tackle, Center, or Guard? We could use an upgrade over Stewart at Tackle. Great, thanks for the help LT. I'll see you at the Combine. Miss Callie, can I speak with Mr. Ginobili again please. It looks like Long Beach is going a new direction. Have you given thought to my proposal? I got a job as the O.C. in Lincoln, sorry. Hold that call Miss Callie, I see that he just signed somewhere else. Can you get me in touch with Coach Harris, most recently of Seattle? Coach Harris, I just saw that you hit the open market and had to give you a call. I realize that you are probably hoping for another OC position, or even a Head Coaching gig....I'll be straight forward and say that I don't have either position open at the present. What I DO have is an open Assistant Coach position, and a young, raw QB that needs mentoring. You'd be responsible with working with the offense as a whole, but focusing extra attention to the QB position. Do you have any interest at all?